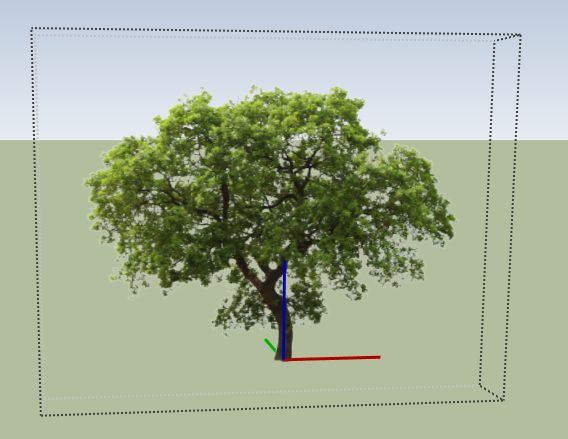 The other posts in this series focused on how to create models of trees that have transparent background and always face the camera. 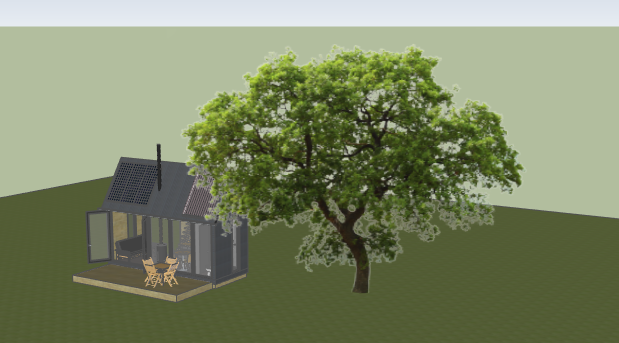 And here’s the same tree with shadows turned on (menu: View / Shadows). Because the tree is a painted rectangle, the entire rectangle casts an un-tree-like shadow. 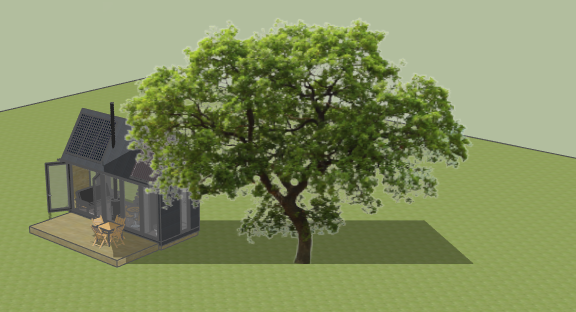 To fix the tree’s shadows, a bit of loose tracing is needed. Start by opening the tree component for editing. The rectangle’s edges are hidden, but they’re there. 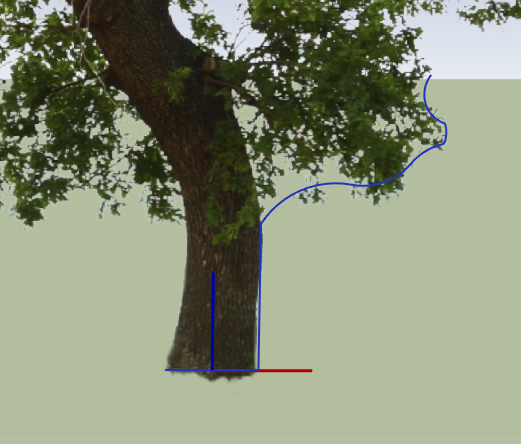 Use lines and/or arcs to trace around the tree and trunk. You absolutely don’t have to painstakingly trace over every leaf and branch! This is just for a shadow – a general shape is more than fine. While tracing, be sure you’re drawing on the rectangle face. It’s easy for lines and arcs to “pop” off the plane, which you can check by orbiting around every so often. When finished, if your tracing was done correctly, you’ll be able to select just the tree face inside the traced edges. To hide the traced edges, you probably don’t want to select them one by one, that’d take a while. 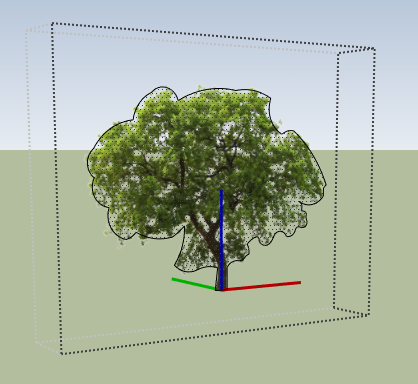 Instead here’s an easy way to select edges all at once: Select-double-click the tree face, which selects both the face and its surrounding edges. 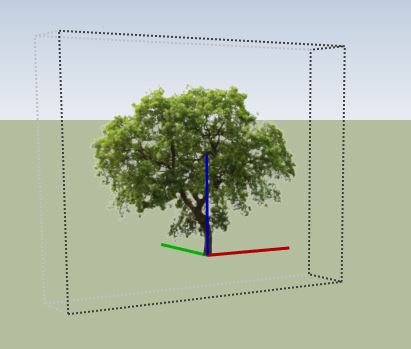 Then Shift-click the tree face to unselect it. This leaves just the edges selected. Then they’re easy to hide (right-click menu or Edit menu). 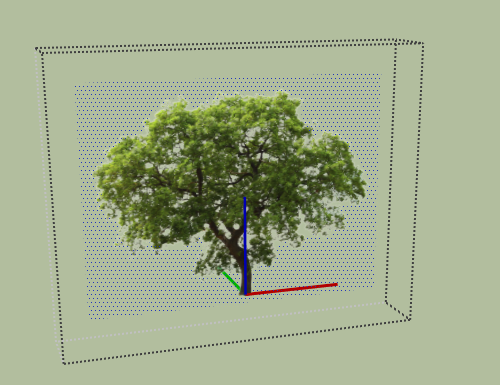 One last fix: the tree component is still a rectangle. Select-click outside the tree to see the selected face highlight. Delete this face with the Delete key (or right-click and choose Erase). Close the component, and now the shadows look more tree-like.